One of the most odd-looking skincare devices we’ve ever seen has been advertising on national television lately. It’s called illuMask and it looks like something out of a science fiction film. There are actually two of these products. One is designed to help get rid of acne while the other is meant to reduce the appearance of wrinkles and brighten the skin. 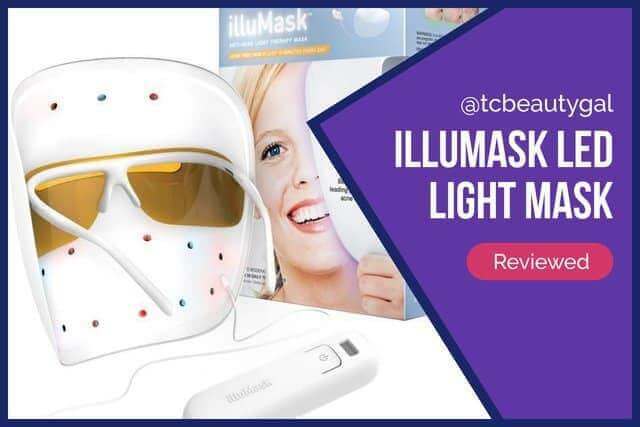 illuMask makes some pretty strong claims for both of these products including saying that they are favorite beauty tools of dermatologists and guarantee visible results within 4 weeks of use. Below we provide a detailed review of both of these weirdly-designed face masks. SHORT STORY: illuMask works surprisingly well for what it is and how cheap the device is. It may look odd, but it does help with acne and aging. 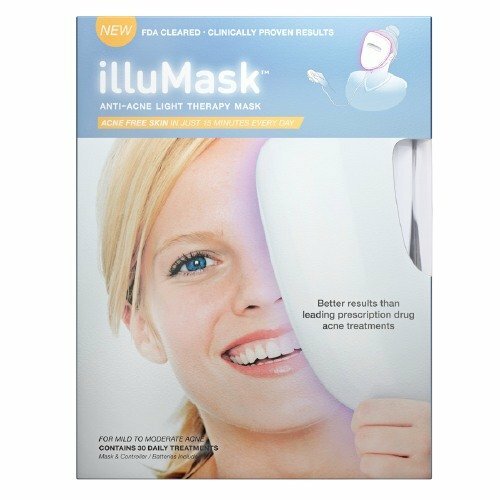 CLICK HERE to check out the illuMask on Amazon. Or, if you’d rather use topical treatments, not gadgets, try using Obagi’s Clenziderm system – proven highly effective for acne. 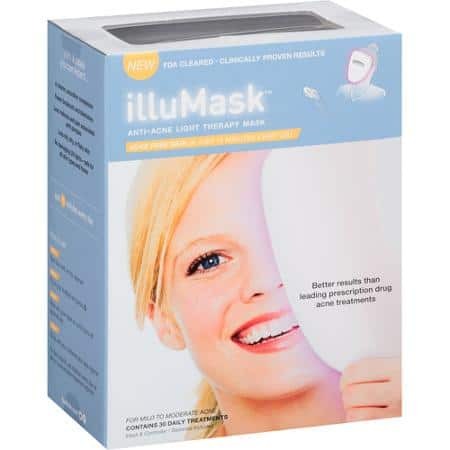 As mentioned above, illuMask is actually two separate products. One is the Anti-Acne Light Therapy Mask that, as the name suggests, is meant to prevent and eliminate acne, and the other is the Anti-Aging Light Therapy Mask, which is for treating wrinkles, brightening the complexion, and firming the skin. Both of these products are supposedly FDA approved and use absolutely no UV-based light for treatments. It’s hard to distinguish between the two as they look identical. The device is basically just a plastic mask that covers the entire face and has LED lights inside. According to the official illuMask website both of their facial masks work in a similar fashion. 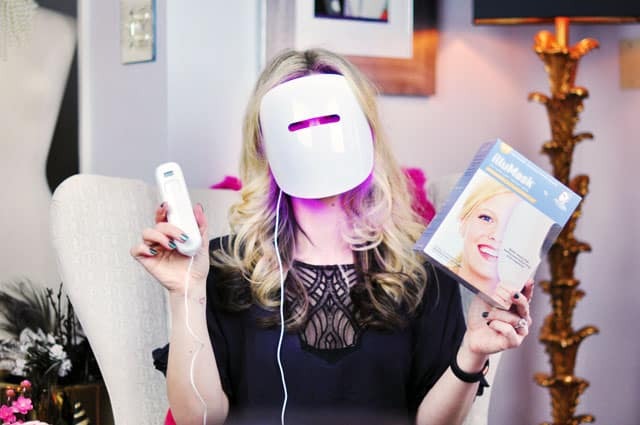 The acne mask uses blue light to kill off the bacteria that causes acne while simultaneously utilizing red light to stimulate new skin cell growth. 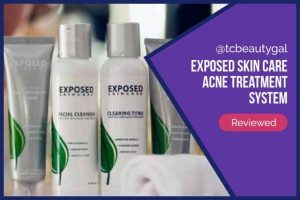 This process supposedly disposes of current acne and helps to prevent future breakouts as well. The anti-aging mask works in almost the exact same manner. Rather than using blue light, though, it simply uses red and infrared wavelengths to repair damaged skin and promote the growth of new, healthier cells. According to the website this process is also capable of increasing the body’s natural production of both elastin and collagen, too. Both illuMask products are designed to be used daily for 30 days. To use it you simply put the mask over your face, press the button, and keep it on for about 15 minutes. That’s all there is to it. We always recommend looking into the opinions of people that have actually used a product before throwing money at it yourself. Despite how gimmicky and “too good to be true” this product sounds, it has actually received a fair number of positive reviews from actual customers. But, there are some bad ones, too. A few people mentioned that they were surprised to find out that each mask is only good for 30 treatments. To be fair, the website does state this quite clearly. Unfortunately, though, we have never seen this mentioned in the TV ads that the company has put out. So it is a bit deceptive. Other people said that the mask didn’t do anything despite being used daily for a month. One reviewer even stated that the device left little red burn marks all over their face after using it. A lot of people said that they product does work well, though. It’s worth noting that even the positive evaluations mention that the mask will dry out your skin considerably. We’re not too convinced that this product is a worthy investment. First off, it’s basically a subscription product because each mask is only good for 30 days. Second, results are a very mixed bad. While some people will see a bit of improvement in their skin, many won’t. illuMask isn’t a terrible product, it just wouldn’t be our first choice for fighting acne, diminishing wrinkles, or brightening the complexion. There are other products out there that do a better job. 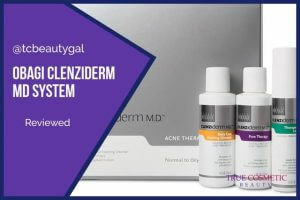 For acne, we really like the Obagi Clenziderm System. For wrinkles the Nu-Derm System does a wonderful job. And if you’re interested in brightening your skin or getting rid of dark spots on the fly, we recommend checking out Meladerm. If you’re interested in giving one of these masks a shot still there are several places you can grab them. They’re found at CVS, Ulta, and a number of other retailers. The easiest store to get one, though, is Amazon.